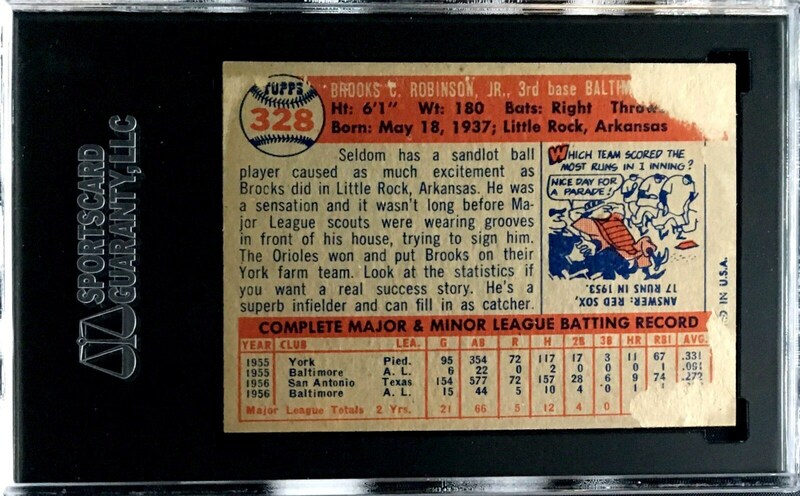 Up for your consideration is a 1957 Topps #328 Brooks Robinson Rookie card. 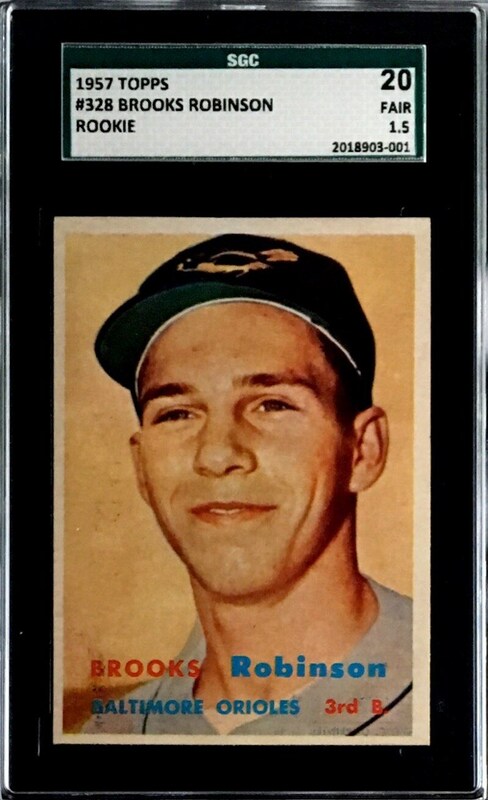 The card's front image displays beautifully. Paper loss on the reverse is responsible for the overall grade of an SGC 20.